Royal is an modern bright colour that works with so many outfits! 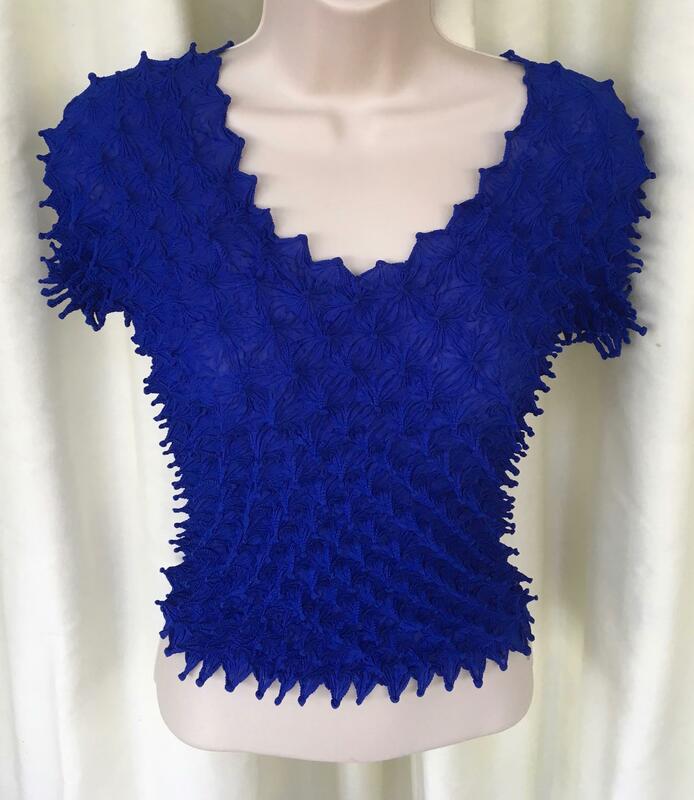 This top fits sizes 8 to 18 comfortably. Please click on the image above to enlarge. Perfect to pop into a holiday bag; this top never needs ironing and is easy to clean. Simply wash on a 40 degree delicates cycle and lay it flat on a towel to dry. The tops are made in a complex procedure where the Georgette material is made up into a large version of the garment. The material is then gathered into spikes and bound with cotton. By treatment the spikes are then formed into permanent creases so there is no elastic in any of the tops.